A fan heater and fan cooler for pets. The combined heater cooler is light weight and portable. Cooling pets in summer and warming pets with one heater cooler for pets.Keeping pets warm in winter and cool in summer. 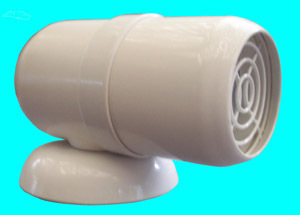 A fan heater for pets that can be converted into a cooling fan in summer. Pets can be kept warm in winter and when the hot weather arrives the heater can be switched over to cooling. The powerful cooling fan is enclosed within the casing and all revolving parts of the fan are shielded to protect your pet. 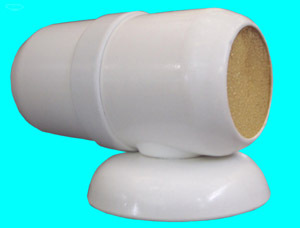 The fan heater / fan cooler has a filter built into the heaters casing that will clean and purify the air from particles often found around a pets resting area. Keeping the air fresh and clean will ensure that your pet is not irritated by dander and other pollutants being distributed throughout the home. Filtering occurs on both the heating and cooling cycle ensuring the maximum protection for your pet. Cooling or warming your pet with the compact and light weight fan heater / fan cooler is safe and easy. The heater is fitted with an automatic thermostat that will monitor and adjust the preset temperature ensuring a safe heat setting at all times. Cooling is even easier. 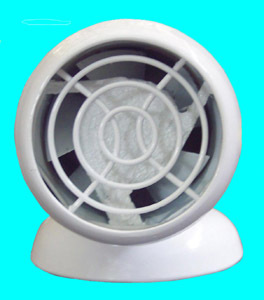 Simply plug in the filtered fan on the cooling cycle and position it in the desired position. The filter on the fan heater / fan cooler can be washed for reuse. No tools or skill is required to change a filter. A clean filter can be fitted within seconds. 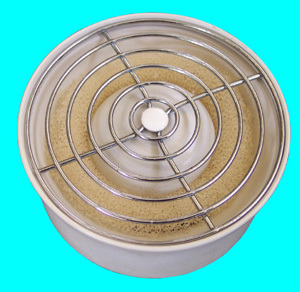 There are two spare filters supplied with every heater / cooler and replacement filters are readily available. 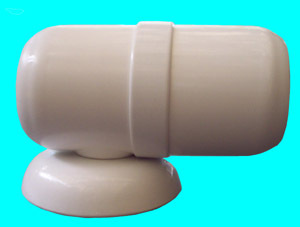 A filter may be used for up to three months before cleaning and can be re-used numerous times. The fan / heater / cooler has no sharp edges or corners that might injure your pet. All controls are automatic and enclosed within the casing. Pets cannot accidentally alter the preset temperature range. Insulation has been built into the casing to prevent burning your pet. There are no hot spots on any part of the heaters casing. The pet heater can be safely picked up and repositioned while in full operation. The fan heater / fan cooler is impact resistant and will withstand harsh treatment from boisterous small pets. Operating cost is minimal and it can be powered on a transformer or battery (not included) reliably for long periods of time.